GoldLink. Photo by Chase Smith. One of the DMV's brightest young hip-hop stars, GoldLink, made his Kansas debut on Wednesday evening. 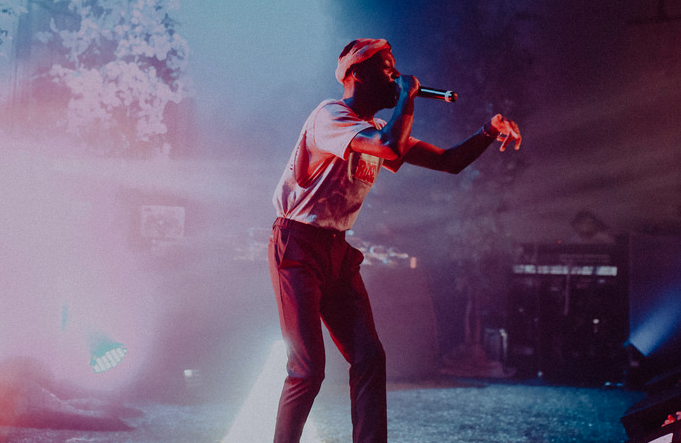 Bright lights and foliage covered the stage as the rapper performed tracks from his sophomore LP, "At What Cost," and fan favorites from his first record and mixtape. Joining him was fellow East Coast artist Masego who came armed with a saxophone.